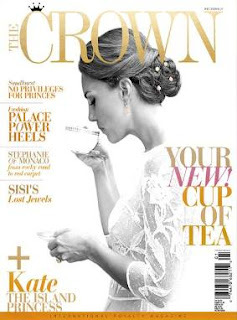 The Crown, which presents itself as the international royalty magazine, was launched earlier this month, and Majesty Magazine has finally got some real competition again. The Crown is a so-called spin-off of the Dutch magazine Vorsten, which has been published for more than 40 years in the Netherlands. I definately think it has made a promising start, with many interesting articles. Having said that, I am not really sure if I am in the magazine's target group. The majority of its readers will most surely be women, and will therefore be expected to have more articles about fashion than I would like. I am not much interested in jewels and tiaras and diadems either, although I admit that these are important parts of a monarchy's history. I generally prefer to read magazines and periodicals with more text and less photos. After all, my main interests within the royalty world is history, especially the constitutional part, and genealogy. Then again, The Crown needs to be more than a popular science magazine to sell, and certainly not a scholar one. Even though I prefer text to photos, I have to say that the illustrations are great to look at. The 148 pages long magazine is filled with as many as 319 pictures (according to the magazine's website). The photos of the king and queen of Bhutan are, for instance, just stunning. The magazine can also boast of 25 royal stories, 30 crowns and tiaras, and covering as many as 107 royals. The front page shows the Duchess of Cambridge, followed by the article Catherine, the island princess, which among others deals with the fact that she has little contact with other royal spouses, in contrast to her Scandinavian and Benelux counterparts. I hope the future issues will also have other, non-British, royals on the front page, even if the UK and the USA probably will be the most important market. In the first issue the current and former monarchies of the UK, Austria, Monaco, Norway, the Netherlands, Denmark, France, Württemberg, Bhutan, Jordan, Belgium, Spain and Russia are covered. There are interviews with Queen Margrethe and Prince Henrik of Denmark in connection with the former's 75h birthday celebrations earlier this year (the Prince Consort again insists on how unfair he thinks it is that he is titled Prince Consort and not King Consort!) and Princess Haya, née Princess of Jordan, now wife of Sheikh Mohammed Bin Rashid Al Maktoum of Dubai, about the princess's love for horses. The magazine has something to offer for the history interested as well – with articles about Princess Charlotte of Wales (1796–1817), who died in childbirth the year after marrying the future King Leopold of the Belgians, Empress Elisabeth «Sisi» of Austria (about her jewels ...), Napoleon, Josephine de Beauharnais and Czar Alexander I of Russia in the article 2 Emperors & 1 empress, as well as In the footsteps of Napoleon in Paris (and Amsterdam) and finally an article based on Helen Rappaport's book Four Sisters. 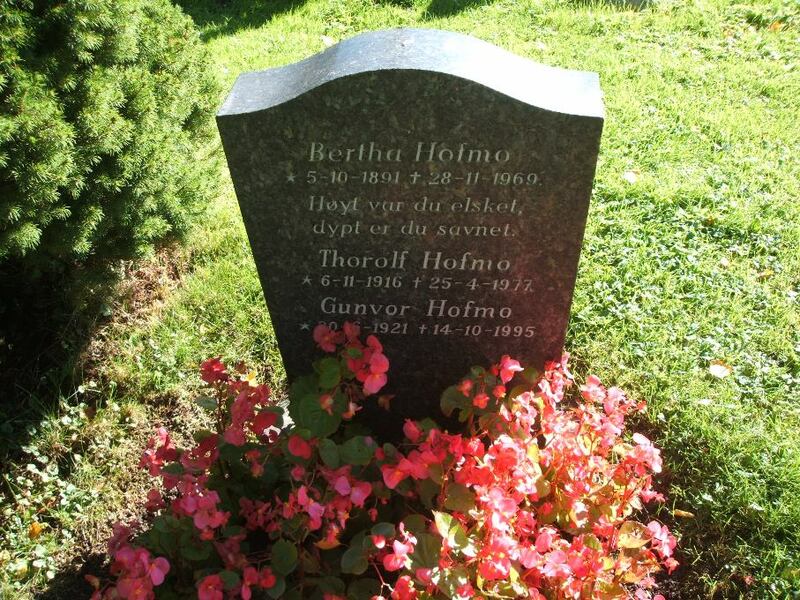 The Lost Lives of the Romanov Grand Duchesses (Olga, Tatiana, Maria and Anastasia, of course). The idea behind the article When the spare becomes heir is a good one. If only the magazine had double-checked the Norwegian Constitution first. We are told that «In Norway, women were not entitled at all to the throne – until 1971. That year the law changed, but boys still came before girls. This is why Princess Märtha Louise (1971) had to give way to brother Haakon (1973). In the meantime, Norway has also caught up with modern succession laws – though not retroactively, meaning Haakon remains Crown Prince, but his daughter Ingrid Alexandra will become the Crown Princess once he is inaugurated». 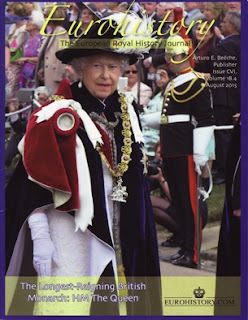 The nexzt issue, which will go on sale in early 2016, will contain among others articles about Queen Elizabeth II of the UK at 90 (the subject title The Queen at 90 annoys me, though), Empress Michiko of Japan, Queen Máxima, the Duke of Windsor, Diana, Princess of Wales as a jewellery trendsetter, the royal yacht Britannia as well as an interview with Princess Märtha Louise of Norway. The magazine costs £8,50 (CAD 23,90, USD 20,99, NL/BE €9,95), and is planned to come out 4 times a year. The publishers is New Skool Media BV, with Justine Marcella as editor-in-chief. The Crown has already been established with its own website, http://www.thecrownmag.com, Facebook page (https://www.facebook.com/thecrownmag) and Twitter account (https://twitter.com/TheCrownTweets). 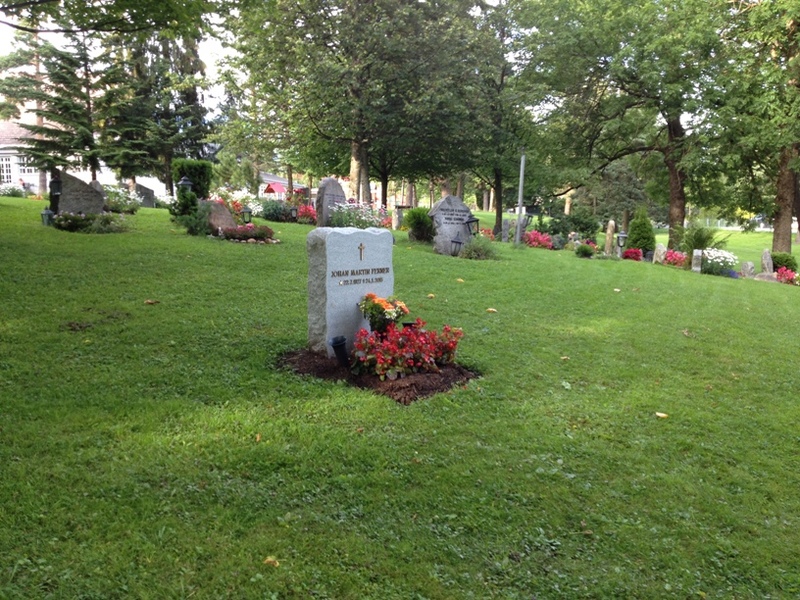 Updated last time on Friday 25 September 2015 at 9 a.m. (minor language correction). 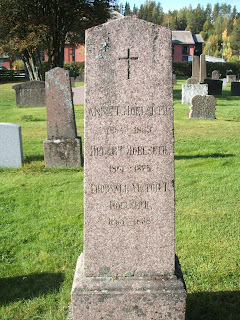 Vestre gravlund («Western Cemetery») in Oslo, Norway, or «Oslo Western Civil Cemetery», as referred to at Findagrave.com, is the largest cemetery in Norway (243 decares, close to 61 acres) and was inaugurated in 1902. It is one of my favourite cemeteries and one I have visited many times to take grave photos, but so far I have only published two of them at my blog – the grave of Anne Lütken and the Ferner family grave. 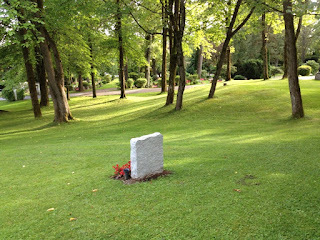 I also worked one summer at Vestre gravlund as a gardener in my student days in the 1990s. I have recently received photo requests from other contributors at Findagrave.com and have added them earlier this evening (the photos were all taken yesterday, 19 September 2015). For the record I publish the photos here as well, and hope to return with more photos from Vestre gravlund (and other cemeteries) later this fall. Ada Kramm, actress (1899–1981). Grave no. 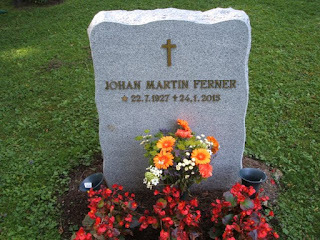 20.034.12.018. 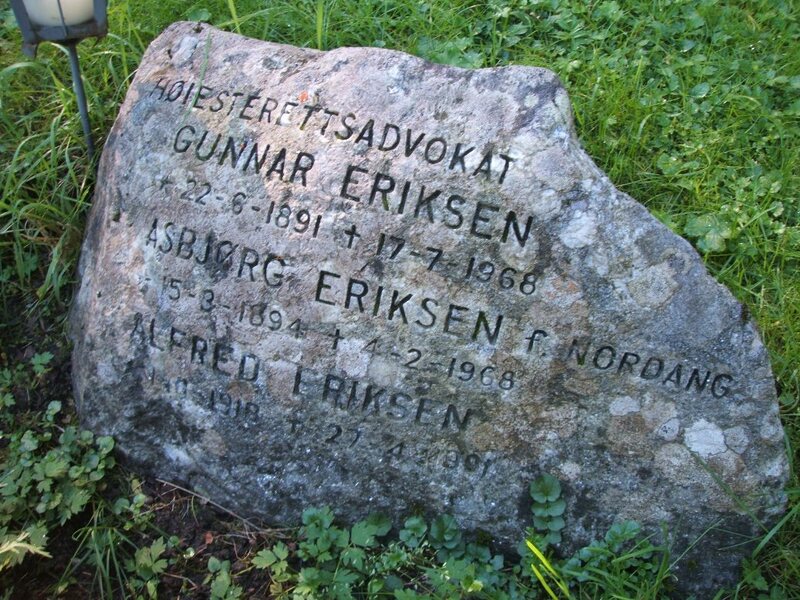 Alfred Eriksen (1918–1991), Olympic fencer. Grave no. 20.034.04.003. 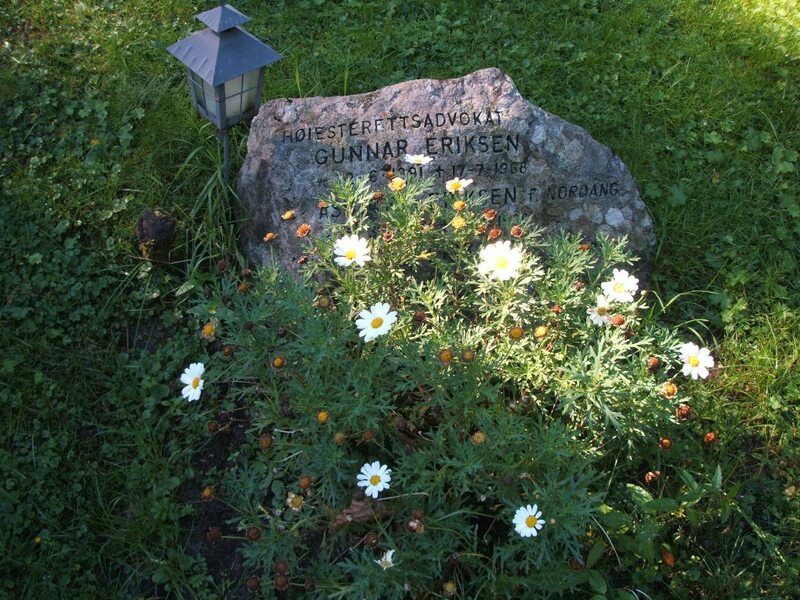 Gunvor Hofmo (1921–1995), poet and writer. Grave no. 20.011.10.001. Johan Anker (1871–1940), Olympic sailor, and his 2nd wife Nini Roll Anker (1873–1942), author. Grave no. 20.318.00.076. 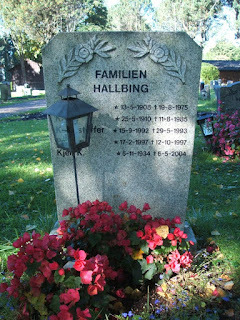 Kjell Hallbing (1934–2004), author of Western novels. Grave no. 20.012.30.001. 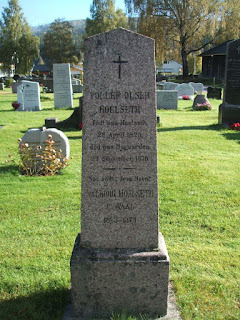 Leif Normann Juster (1910–1995), comedian, singer and actor. Grave no. 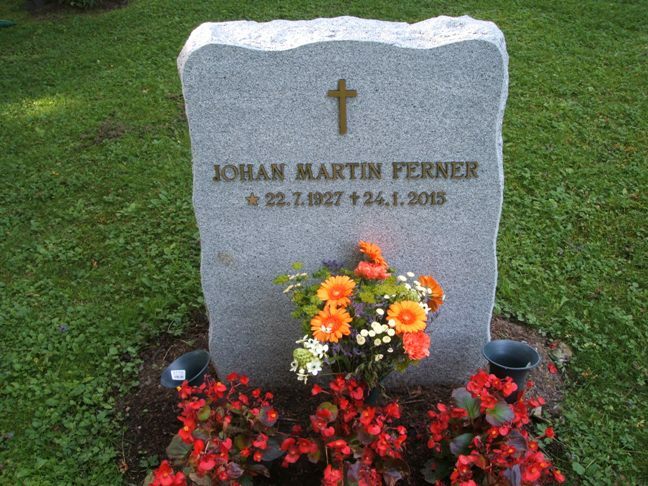 20.106.00.034. 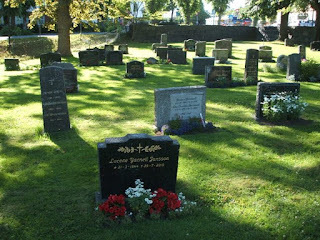 I have, by the way, also published another photo from Vestre gravlund in my Slektshistoriewiki article about Cato Krag-Rønne. 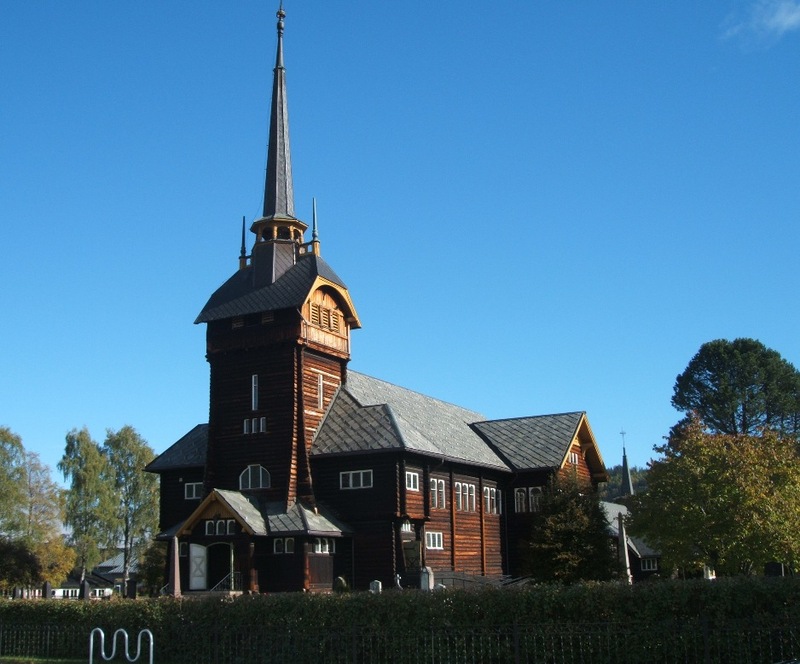 Slektshistoriewiki is the Norwegian genealogy wiki initiated by Norsk Slektshistorisk Forening (the Norwegian Genealogical Society). Updated on 28 February 2017 at 22.30 (minor language error). The prince or princess, to be born some time in March 2016 if everything goes as expected, will be Crown Princess Victoria and Prince Daniel's second child. 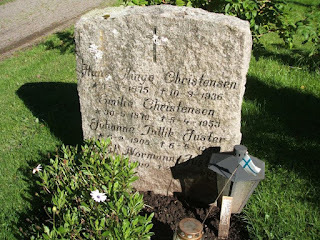 Their first child, Princess Estelle, Duchess of Östergötland, was born on 23 February 2012. Estelle's little brother or sister will be King Carl XVI Gustaf and Queen Silvia's fourth grandchild, and will take his or her place as no. 3 in the line of succession. 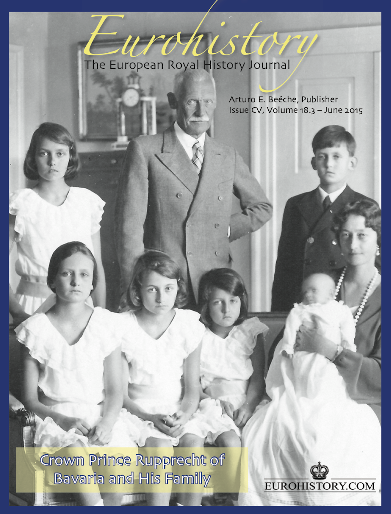 I was pleased to find the latest issue of the European Royal History Journal – in my mailbox last Sunday when I returned home from the first part of my summer vacation. Great to have good reading material on my way to and home from work. The latest issue's first article is the traditional The Who Is In the Photo series, this time a photo of the Battenberg family taken around 1895 – Princess Louise, Princess Alice, Princess Victoria, Prince George and Prince Louis (Ludwig) of Battenberg. The one missing is Prince Louis the younger, later Earl Mountbatten of Burma, obviously because he had not been born yet. 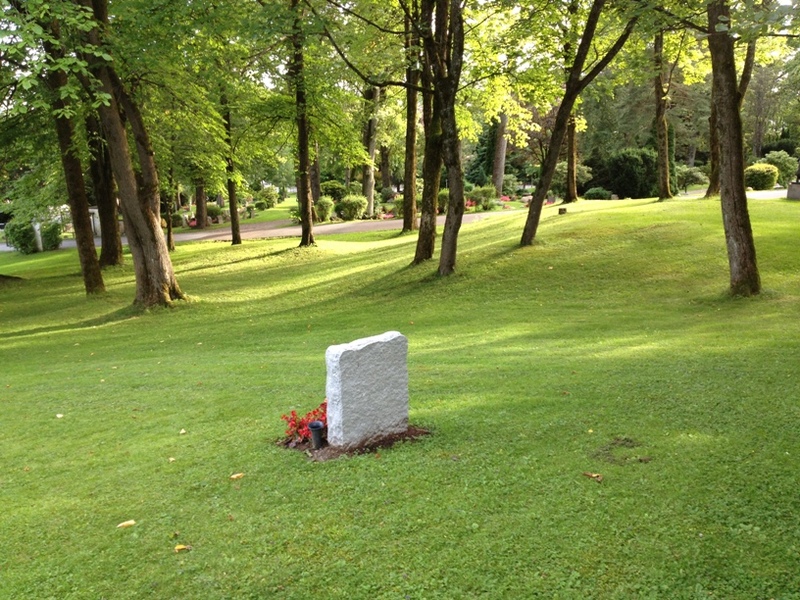 Ilana D. Miller outlines the history of this branch of the Battenbergs. The next one out is the Part II of An Interdisciplinary Discussion. The Nassaus of Luxembourg by Roberto Cortez Gonzáles, and yet again we get a thorough presentation of the history of the Grand Ducal family of Luxembourg, with many details I either didn't know or have forgotten about. I have 2-3 books on the Luxembourgs in my collection, but it has been a while since I have read them. 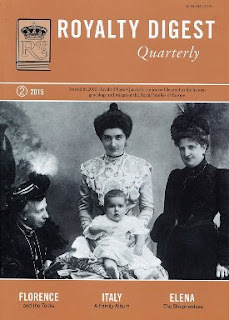 The author and Queen Victoria Descendants genealogist Marlene A. Eilers Koenig has this time contributed with an article titled Frederica of Hanover. A Pasionate & Obstinate Princess. Frederica (Friederike) (1848–1926) was the 2nd child of King Georg V of Hannover and Queen Marie, née Princess of Saxe-Altenburg.The article stops well before Frederica's marriage to Baron Alfons von Pawel-Rammingen (1843–1932), but fortunately the article is "to be concluded", so the readers have more to look forward to. Royals who go against the flow are always interesting to read about. Thinking about royals often listed as examples of enterring "non-equal marriages", it seems that Frederica most often is not mentioned. 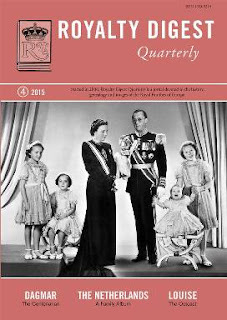 Coryne Hall has contrbutied to many articles in both ERHJ and Royalty Digest Quarterly over the years, and this time she focuses on the Danish Royal Family with the article titled The Descendants of King Christian IX of Denmark. APAPA. 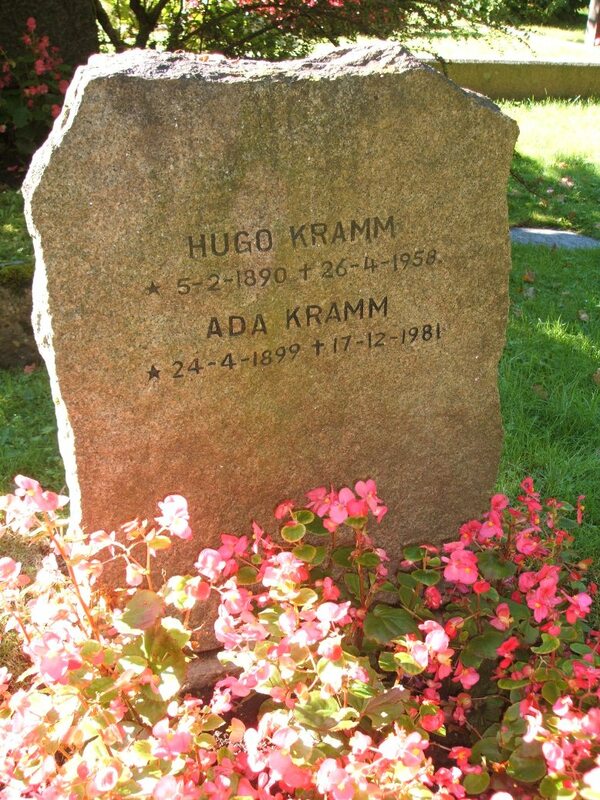 Even if the title suggests otherwise, she has limited her work on the Danish. The article doesn't suggest that this is is "only" the first part of a series on the KCD (does this abbreviation work as well as QVD (Queen Victoria's Descendants), by the way? ), but let's hope so! I really enjoyed reading part I of Janet Ashton's article "Our ally has shamefully betrayed us". Italy Enters the Great War in volume 18.1, and the second and final part included in the April issue was as enjoyable. Now also with a full bibliography, so I can understand better the notes from last and current issues! The two-part article more or less covers the great war up to 1916, so I wonder if Janet Ashton will write more about Italy's role in WW1 later on? 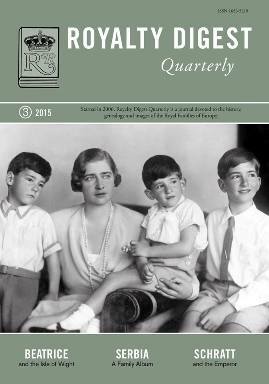 The latest issue also has a book review column, and Coryne Hall returns with her review of Royal Gatherings. Volume II. 1914-1939 by Ilana D. Miller and Arturo E. Beéche, the latter being the ERHJ editor and publisher. As Hall contributes so often to the ERHJ, one wonders if the task could have been left to someone "outside the circle". Not that there is anything wrong with the review itself, but I sometimes feel that the world of royalty writers is too small. 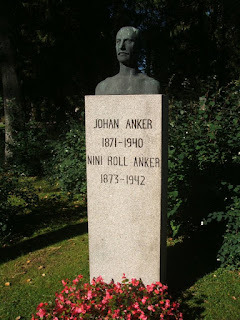 Anyway, here is Marlene A. Eilers Koenig's review in her blog Royal Book News. Finally, we get the traditional Royal News section, which this time includes news from Brazil, Bulgaria, Reuss, Saxe-Coburg & Gotha, Two Sicilies, Prussia, United Kingdom, Hohenlohe-Oehringen and Wied. Of course, when you read these genealogical news they are already old, but considering the fact that many websites come and disappear again, it is useful to have these news on paper for the record. I was pleased to receive several comments to my articles about Sandar Church and Cemetery, Sandefjord, Norway (part I and part II), of 2010, both in the message field and by e-mail. Earlier this year I received among others a request to take a photo of the grave of the California-born mime dancer and Muppet Show particpant Lorene Yarnell Jansson (1944-2010) and publish it at Findagrave.com, a website dovoted to graves and cemeteries all over the world. 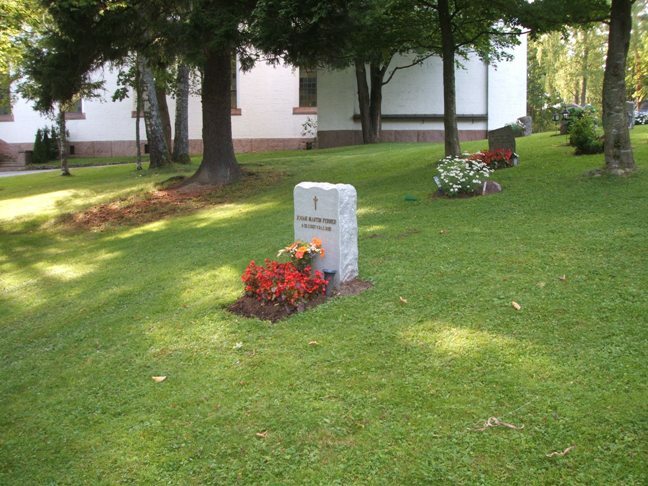 According to its FAQ, its mission "is to find, record and present final disposition information from around the world as a virtual cemetery experience". Earlier this month I finally got the time and opportunity to visit Sandar kirkegård (churchyard/cemetery) again, and last Sunday I published two photos on the said website. 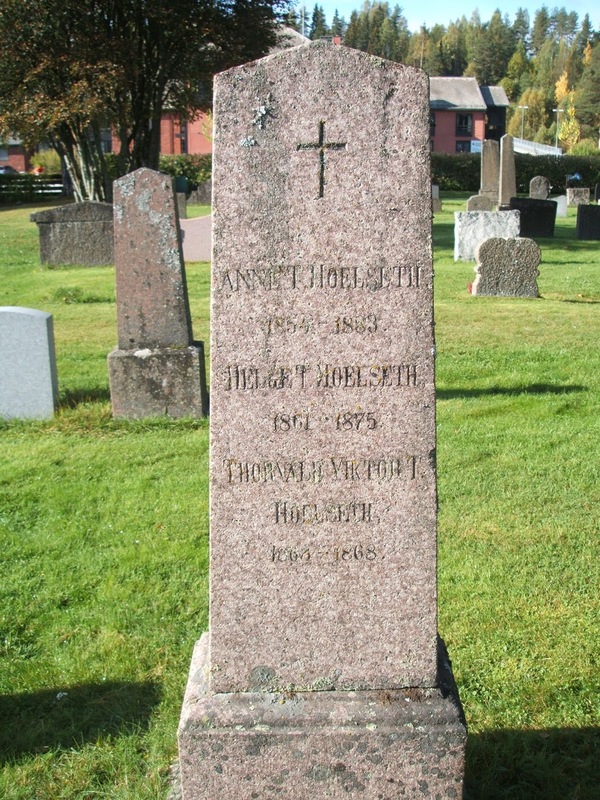 Yarnell married the Norwegian Bjørn Jansson - her fourth husband - and in early 1998 moved with him to his hometown Sandefjord. 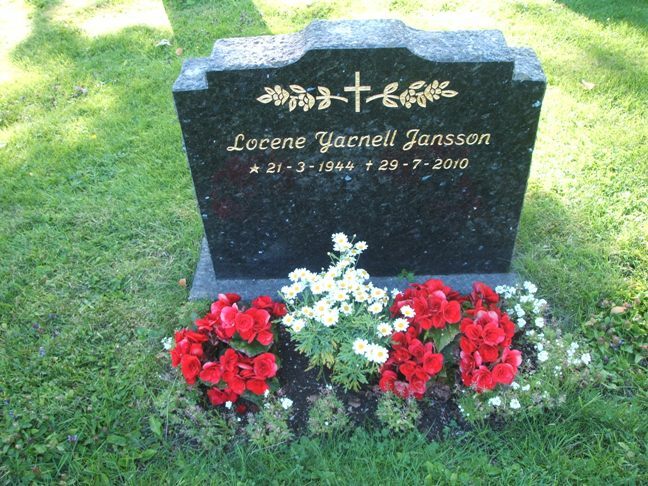 She died there of a ruptured cerebral aneurysm in 2010. I must admit that I had never heard about her before, but at least the local newspaper Sandefjords Blad knew about her claim of fame, as it made a portrait interview with her and also covered her death. For more details, see the Wikipedia article. The second issue this year of Royalty Digest Quarterly arrived in my mailbox in early July, just before I left for the first part of my summer vacation. Always nice to bring great reading material with you on your travels! Most articles this time are devoted to Italy and/or the Italian Royal Family (House of Savoy), and the photo on the front page shows four generations of the royal family: The later King Umberto II as baby, being held by his mother, Queen Elena, née Princess of Montenegro. To the left Umberto's great-grandmother Elisabeth, and to the right the baby's grandmother Queen Margherita. 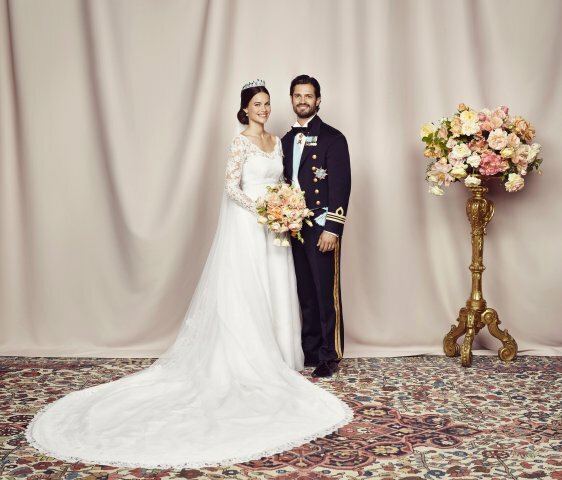 Not surprisingly the editor and publisher of RDQ, Ted Rosvall, spends his Editor's Corner on the major royal events in Sweden earlier this year - Prince Carl Philip's marriage to Sofia Hellqvist and the birth of Prince Nicolas. In my article about the first issue of RDQ this year, I mentioned that I wouldn't be surprised if Coryne Hall, author of Princesses on the Wards. Royal Women in Nursing Through Wars and Revolutions (2014) would continue to cover more royal nurses in future issues of the RDQ. Queen Elena of Italy, née Princess of Montenegro, was not a trained nurse, but she nevertheless made great efforts in setting up hospitals during the wars and other national catastrophes, and in Hall's article Elena - the "Shepherdess" Queen of Italy, we can for instance read about how she nursed the injured after the earthquake in Messina in 1908. 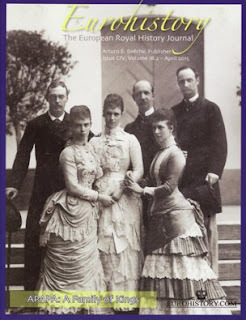 The next article out is written by the periodical's historical consultant, Charlotte Zeepvat, finishing the story about Princess (Helena) Victoria of Schleswig-Holstein, 'So loyal and strong in her affections...'. She was quite an character, and the article is well written. One could perhaps have wanted more details about the last part of her life, but maybe it was not as eventful as the first part. If you are interested in royal history, you can literally spend all your vacations in Germany, as there are so many royal palaces, castles, lodges and other buildings to explore! 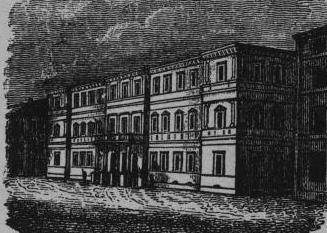 One example is Kranichstein, the hunting lodge of the Hesse-Darmstadt family. 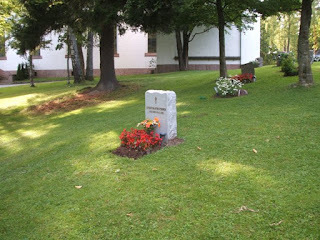 Elizabeth Jane Timms has written a nice presentation of the lodge and its history. Then Charlotte Zeepvat returns with her traditional family albums, this time the Royal House of Italy gets all the attention. Besides a two pages' long introduction, the reader can enjoy 108 illustrations, most are of various members of the Savoy dynasty, while the first photo is of Castello di Racconigi (yet another castle I have to visit one day). Finally, as always, Zeepvat brings 3 pages showing the family genealogy. Richard Thornton has contributed to the last article of this issue, titled With the Tecks and friends in Florence. Unfortunately there are no book reviews this time either (I hope that Rosvall has not dropped including book reviews altogether). But as usual we are treated with The World Wide Web of Royalty, this times with news from Austria, Bulgaria, Fugger von Babenhausen, Erbach-Schönberg, Great Britain, Hannover, Prussia, Saxony, Sweden, Two Sicilies and Ysenburg and Büdingen.